Language:French and 33 Melanesian-Polynesian dialects. Area:Land 19, 103 km². Freshwater 485 km². Exclusive economic zone 1,740,000 km². Terrain: Coastal plains with interior mountains. Climate: Tropical, modified by southeast trade winds. Geography: Consists of the main island of New Caledonia (one of the largest in the Pacific Ocean), the archipelago of the Loyalty Islands and numerous small, sparsely populated islands and atolls. Economy: Important industries are nickel mining and smelting. 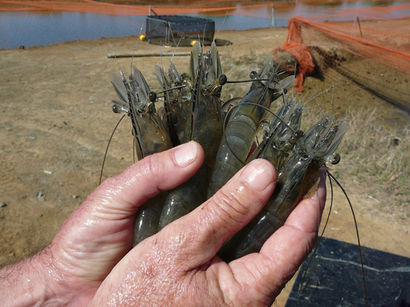 Major exports are ferronickels, nickel ore and prawns. In 1955 tilapia was introduced into New Caledonia by the SPC, however no culture trials were carried out. In 1974 an aquaculture centre was established at St Vincent Bay. 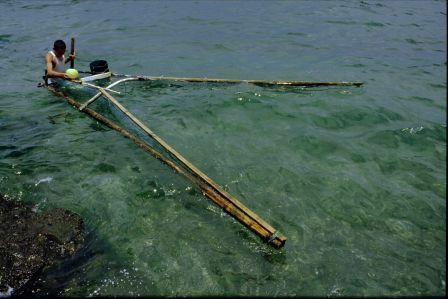 Trials were carried out on various species including algae, cockle, lobster, milkfish, mullet, mussel, oyster, prawn, rabbitfish, shrimp and trochus. The Philippines green mussel was introduced in 1972 at the St Vincent Bay station. By 1979 a few private farms were culturing mussels. Spawning was achieved with floating rafts. In 1981 a hurricane destroyed the rafts. The blue prawn (L.stylirostris) was introduced between 1978 and 1981. It was identified as the best candidate for aquaculture after trials with local and imported prawns. Since then, the same strain was used for commercial production untill 2004. 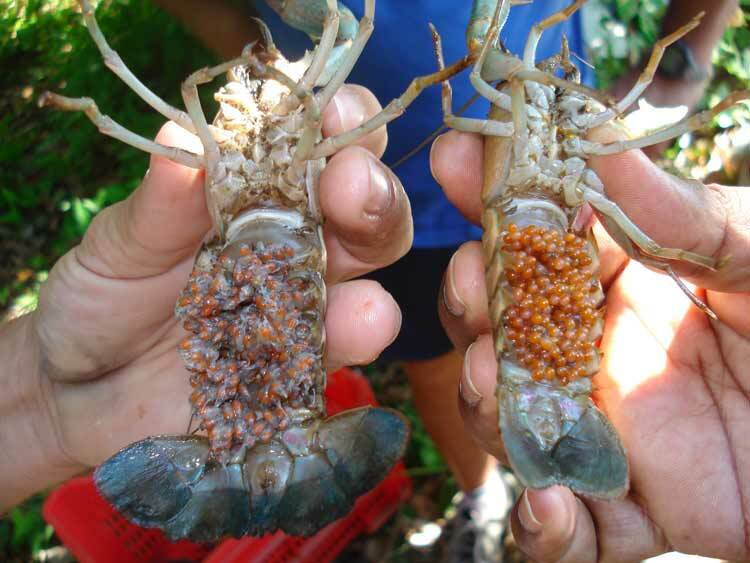 In 2004 pathogen free broodstock was introduced from hawaii to renew the g enetic variability of New Caledonian prawns. 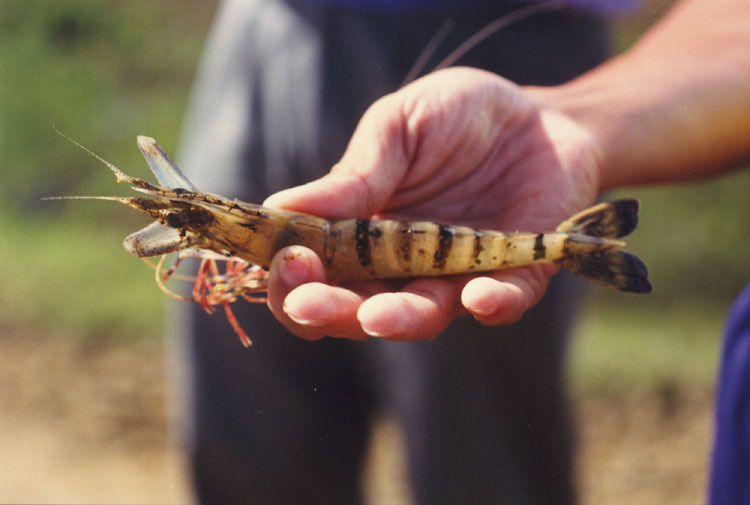 Since 1973, research was carried out by the CNEXO and then the IFREMER the first private prawn farm was established in 1981 and in 1983 the Society d'Aquaculture Caledonienne (SODACAL) initiated a 125-ha prawn farm at Mara. 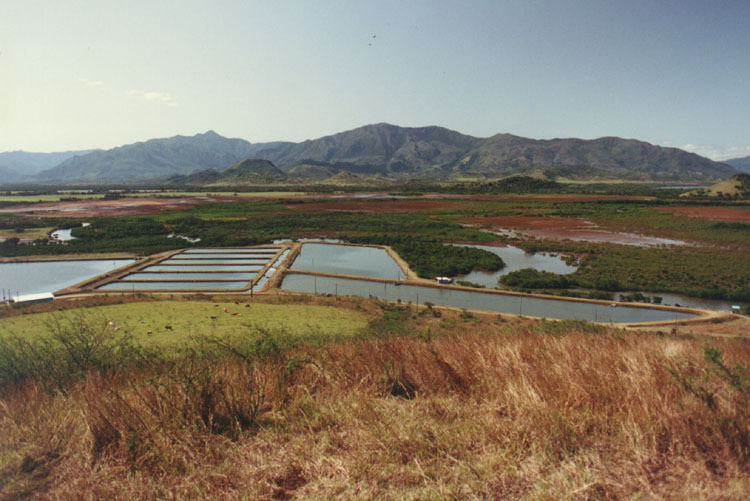 Nowadays, there is 18 prawn farms in New Caledonia (670 ha), two conditionning plants, and two feed mills. The prawn farming industry employs about 1000 persons (full or part time employment - mostly unqualified staff) and produces about 2000-2500 tons per year. Oyster farming (Crassostrea gigas) started in 1985. Today, the oyster farm "l'Huitriere de Dumbea" grows out oyster using spat imported from France. The production is sold on the local market. In 1992, live red claw cra yfish (Cherax quadricarinatus) were imported from Australia. Since then, farmers and land owners from the west coast have diversified their activities with crayfish farming, when they had bore or stream water available. The "association Dulçaquicole Néo-Caledónienne" is working on strengthening the industry. 10 tonnes are produced yearly and sold to the local market. Marine fish farming has know recent improvement with AQUALAGON, a company that have developped a protocole to rear rabbit fish (siganus lineatus). - There is a lot of available sites for prawn farming in New Caledonia, mostly in the Northern Province. It is expected that pond surface and production will double on a mid term basis. - There has been several trials in the past few years on aquaculture commodities such as seaweed, giant clams, crabs, sea cucumber and fish. Fish farming seems to be the mid term option for diversification, especially targeting export asian markets. The major constraints to tackle are linked to technical and economical feasibility given the high production costs in New Caledonia.